As I said in a recent post, I’ve had to scale back on how much writing I attempt to get done each evening because I try to go to bed earlier. To be more specific, I used to aim for at least a thousand words a night, or about four pages. However, I get tired more easily and need more sleep, so I go to bed earlier. Thus instead of a thousand, I aim for at least five-hundred or two pages. Which to us wordsmiths can seem like quite the downgrade. One of the ways we measure our progress with our stories is by word count. So when you have to aim for lower word counts every day, it means you make slower progress and possibly make people wait longer for new stories. However, that disappointment quickly evaporates when you realize something: while getting a thousand words out is nice, five hundred words is also momentous in and of itself. And that’s because you can say a lot in five-hundred words as well (and I don’t mean in the sense that even a small paragraph is composed of thirty to fifty words). Let’s flash back to last night. I’m working on a story I’ve been writing on and off for about a year now and which I’m barely halfway through. I could’ve let the amount of writing left to do with this story get to me and keep me from getting a single word down on the page. Instead, I started writing. And lo and behold, I got seven hundred words in. Of those, the first five-hundred are about the narrator’s evolving mental state. And even though it’s still only a first draft, it was actually pretty good. I mean yeah, it could use plenty of cleaning up, but it was still a good passage of story, diving deep into what the narrator has been feeling at that point in her life, and how it’s affecting her relationships with her loved ones. Those two pages or so felt really emotional, almost as if a reader would feel the same emotions as her just by reading about it. And somehow, I doubt that if I was aiming for a thousand words, I could write such a good section. I think when was aiming for a thousand words, a part of my brain was urging me to rush on, to get that huge number out of the way so I could claim significant progress. The work I did while aiming for that big number was still good work, or at least I like to think so, but it might still be rushed. With five-hundred words, I recognize on some level that I can take my time, there’s no goal to rush to, and that allows me to write better. And if I somehow make it to a thousand words? Great, I’m just glad I wasn’t panicking internally about getting there in the first place. Of course, I would like to get to a point in my life where I aim for a minimum of a thousand words a day, but I want it to be under circumstances where I don’t feel so pressed for time and I can really explore the story and the character while working to reach that word count. That might not be for a long time, seeing as how much time in the day I would need to devote to such a goal conflicts with how much time I actually have to write sometimes. But who knows what the future holds? Anyway, my point is that you don’t need to go crazy trying to rack up a huge daily word count. What matters most is what is written down during that daily struggle to write. If it’s meaningful and tells the reader a lot and sticks in their heads and ignites all sorts of marvelous images, then wonderful. You’re making great progress on your WIP. If, however, you’re getting a lot down on the page but it’s just a lot of fluff…well, that’s what the editing process is for, after all. Get’s rid of that fluff and replaces it with words of substance. Either way, it sounds like a win-win. And by the way, this blog post is 814 words. Did I manage to say anything of substance in that amount, do you think? And while I still have your attention, I’m still looking for advanced readers for my upcoming fantasy-horror novel Rose, being released from Castrum Press. The story follows a young woman who starts turning into a plant creature (and that’s just the start of her problems). In exchange for an early electronic copy, all I ask is that you read the book and consider posting a review online once it’s released. If you’re interested, please send me an email at ramiungar@ramiungarthewriter.com. Thanks, and I look forward to hearing from you. Wow, thought it would take at least a couple more nights for this happen. And again, it’s like an hour before I’m supposed to go to bed! Ooh boy. At least if I’m tired tomorrow morning getting into work, I’ll have a good excuse as to why it happened. 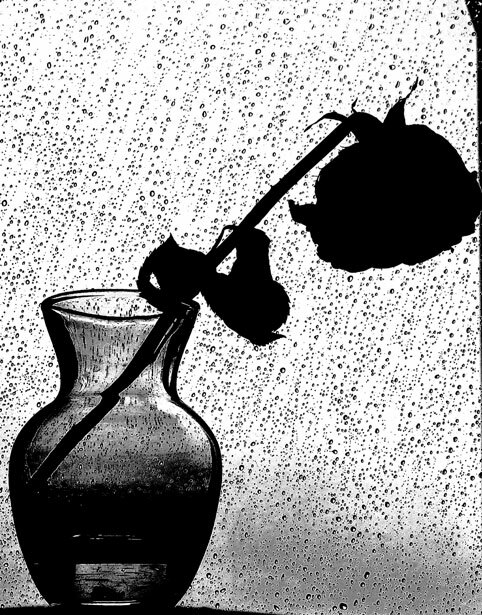 For those of you who don’t know, Rose is a novel I wrote as senior thesis in college, and which has had quite the crazy time just getting edited (click HERE to read my last post on Rose for more background on this crazy time). The story follows an amnesiac girl who wakes up one day and finds herself suddenly turning into a plant creature (and that’s just the start of her problems). It’s as bizarre as it sounds, but also very dark. Not as comical as it might sound if I were to tell you about it at a party. As I’ve said before, the last time I tried editing this story, it took me months just to get through a couple of chapters. Now, it’s been just over three weeks since I last posted an update on Rose, and I’m two-thirds of the way through the story. The latest chapter, I managed to get done in one sitting, in only an hour and a half, with a cup of tea on my bedside table and a New Age spiritualism lecture on YouTube to keep me focused on the writing. Consider my normal writing/editing speed, I consider that a really big deal. May the last seven chapters be as easy to edit as this chapter. Though to be honest, I’m really enjoying the editing process. The story feels new to me, like I’m discovering the characters and twists for the first time as a reader. And going over it, seeing where the descriptions can be expanded or the language brushed up and improved is a pretty satisfying experience. It’s going to be really interesting to see what happens in the last seven chapters, which contain some of the biggest revelations of the story, and most of the scenes I’m looking forward to expanding/making better. If I’m lucky, I’ll even be able to make good on my thesis advisor’s suggestion to add about ten to twenty-thousand words to the novel (or did he say double the novel? I forget so much in my young age). Speaking of which, time for me to annoy you with page and word counts. At this point in the second draft, the number of pages in the novel (8.5″ x 11″ paper, 12-point Times New Roman font, double-spaced) was a total of 103, with the word count measuring up to 32,765. In the third draft, I’ve expanded the story to this point to 137 pages, and 42,768 words. That’s an increase of 34 pages, and 10,003 words. I think I’m doing quite well. The second draft was only a couple thousand words longer than where the third draft is now, so once I expand it, I could get it beyond sixty-thousand or maybe even seventy-thousand words. That would be pretty incredible, wouldn’t it? Well, I’ve probably taken up probably enough of your time and/or phone data. I’m going to head to bed and savor this milestone as I sleep. Goodnight Followers of Fear. Pleasant nightmares! I began work on Rose during my senior year of college as my thesis project. I had been sitting on the idea for about a year by that point, and had done quite a bit of thinking into what sort of story I wanted to tell. I started in September 2014, went back and started all over again when I realized the direction I was going in was all wrong for the story, and then finally managed to finish the first draft in January 2015. I then banged out a second draft in time for thesis discussions in April 2015. At those discussions (which you can read more about here), I was given a number of suggestions on how to improve the novel for the third draft, after which I could probably start thinking about publishing. One of those suggestions, which I did not mention in the post about the discussions, was that I add a whole lot more words to the word count. Like, ten to twenty-thousand words more. Yeah. I know. Even seasoned authors might find that a difficult challenge to accept. In any case, I planned to get back to this story eventually, just not immediately. I first went to work in Germany, and then went through the job search. During that time, Rose was never far from my mind, but I never felt it was the right time to work on that story. After I got my new job and moved into my own apartment though, I did feel like revisiting the story. And I utterly floundered trying to edit it. As I’ve mentioned in previous posts, moving had entirely changed my routine, and without being able to get that routine back, I was unable to edit as I used to. Thus, it took me three months just to get through five chapters. After that, I had to stop and reevaluate what I was doing if I was to continue writing at all. And then two months ago, deciding I needed a break from work on Full Circle, I began working on Rose again, even though I thought I wouldn’t get to it until after my Boston trip. With a new routine in place, I managed to get through the five chapters I edited last year in weeks rather than months. And then I got through Chapter 6, and then finally Chapter 7, finishing edits on that about an hour before I left to go see The Dark Tower. And now I’m one-third of the way through the book. And it feels almost like I’m working with a totally different story, like this is the first go-around with Rose rather than the third draft of (and the fourth dive into) the story. Hence why I feel it is necessary to write a progress report at this point in the third draft. So if you’re new around here, you’re probably wondering at this point, “Okay, but what’s the novel about?” To put it simply, Rose is about an amnesiac girl who finds herself turning into a plant creature. It is as bizarre as it sounds, more bizarre than I remember it. But it’s also a very dark story, exploring themes like abuse and dependence in relationships, as well as how truth, falsehood, and memories shape our perceptions of our ourselves and others. So yeah, as bizarre (and possibly comical) as it sounds, it is still a scary story. And I have to say, editing is going very well. I’m incorporating as many of the suggestions from my thesis discussion as I can, and I’m definitely seeing an improvement in the story. The characters definitely feel like they’re actual people in this strange situation, and I feel like if this book does get published, people will really respond to it. As for that suggestion to add ten to twenty-thousand words, I’m actually doing okay with that. I’ve thought about scenes I’ve wanted to expand, and I’ve even looked ahead to certain parts of the book to see where I can make some additions. And in the first seven chapters, I think I’ve done a good job of that. Let me break down the numbers (already I can hear my longtime readers groaning about that, they know I love to do this): in the second draft, the first seven chapters measured up to 44 pages (8.5″ x 11″, 12-point Times New Roman font, double-spaced) and 13,579 words. In the third draft, I’m at 70 pages (same parameters) and 20,990 words. That’s an increase of 26 pages and 7,411 words. And I like to think none of it is unnecessary. So what’s next? Well, I’ll get to work on the next fourteen chapters, and hopefully be done with the end of the draft by the end of September. I’ll also try to add another three-thousand to thirteen-thousand words, if I feel that amount would help with the story. After that…I’m thinking beta readers, more editing, and then maybe an agent/publisher. We’ll see. Well, it’s late, so I’m off to bed, my Followers of Fear. You have a pleasant night and pleasant nightmares. Until next time! 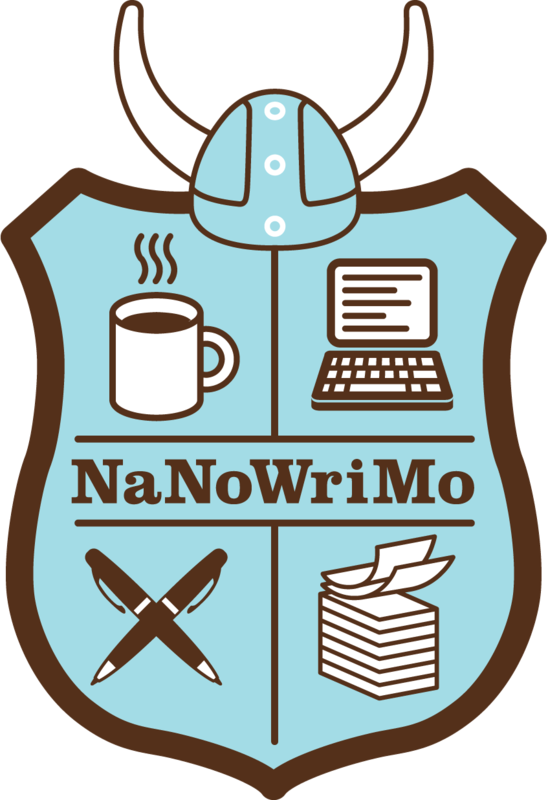 The NaNoWriMo logo/coat of arms. Well, it’s December 1st. That means a couple of things: start of the holiday season and prep for the new year, the days get to their shortest point, I try to push a tag with the hope that it will become a trend (so far, it’s been hit and miss with those I’ve tagged). 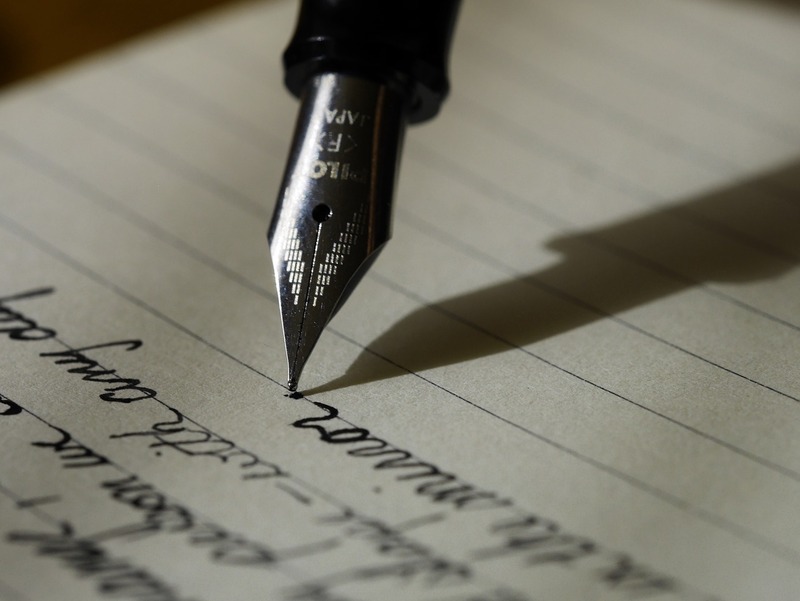 For writers around the world, however, it means National Novel Writing Month, and assessing how each person did and how their manuscripts turned out. I’ve actually always found National Novel Writing Month, or NaNoWriMo for short, full of strange contradictions. For one thing, it takes place around the world, but it’s kept “national.” Heck, even the month’s official website puts you in touch with participants from all over the world! Why don”t we change the name? For another thing, it’s amazing how many authors take this challenge seriously. For those of you who don’t know, during the month of November, many writers try to write a fifty-thousand word novel within 30 days (that’s about 1667 words per day if you want the math). 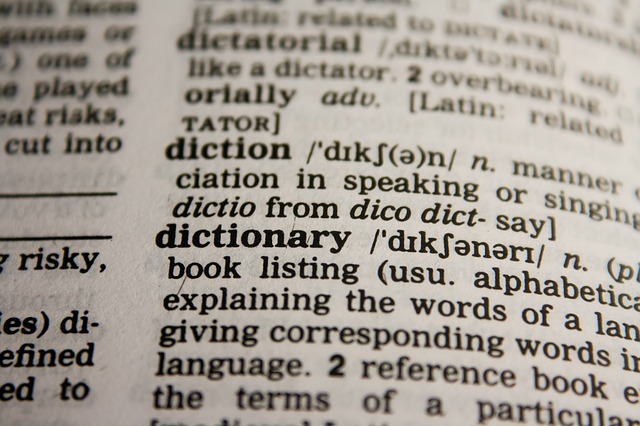 And I’ve seen so many author friends on Facebook and in blogs lament how they only got so many words down. “I only got eight-thousand words.” “I was so close to 50K!” “This NaNoWriMo sucked! I hardly got any work done.” I don’t even want to know what they thought of the material they wrote. Just for clarification, there’s no actual prize if you write a 50K novel in 30 days. You just get bragging rights. But plenty of authors see it as a reflection of themselves if they can’t get the words down. And I actually kind of understand this: on nights when I didn’t write anything down (and those nights occurred quite often, sadly), I felt like it was some sort of reflection on my skills or on myself as a writer. It didn’t matter if there just wasn’t enough time before bed, or if I had a book I really wanted to read, or if I just didn’t feel like writing that night. I felt bad. Maybe not as bad as I could have felt, I have a day job that takes up a good chunk of time, so I at least have an excuse for why I’m not writing more. But I bet for those who write full-time, it could be very frustrating when they didn’t reach their goals. So how did I do, now that we’re on the subject? Well, I knew that with a job and that unfortunate habit of sleeping seven hours a night, plus eating and bill-paying and grocery shopping and everything else that goes on in my life, I had only so much time to do any work. Therefore, I decided that I would keep my expectations reasonable. I decided that I would aim to get ten-thousand words done, and if I got past that, I would aim for another five-thousand afterwards. If I somehow managed to get past that, I’d aim for five-thousand more, and so on and so forth. The result was I probably felt less stress than my colleagues, and I consequently met my first goal, and got more than halfway to my second goal. To be exact, I got 13,821 words down by the end of the month, about four-and-a-half chapters worth of story. It wasn’t easy, but I managed to do it. How did it turn out? Well, I guess as well as a first draft can turn out. I mean, it’s only in the subsequent drafts that novels actually become the brilliant stories we all hold so dear. During the first drafts, they’re like pre-Fairy Godmother Cinderella: full of beauty and potential but in need of some serious clean up. My own NaNoWriMo project, Full Circle, has a lot of good stuff in it so far. It’s the third book in my Reborn City series, and considering that I started this series about eight years ago, this novel is already showing my growth over that time the most more than any recent story I’ve written. Still, I think Chapter 1 could use a lot of clean-up. There’s a lot of exposition there, so making it work with the real storytelling moments is important. And possibly the prologue could use some polish as well. Yeah, I included a prologue with this book. New thing for this series, but I think it’s good for this book. Just needs some edits. In the meantime though, I still have an entire novel to finish, and it’ll probably be a lot longer than 50K. I’m hoping that I can finish it by mid-spring 2017, and have it out early 2018 at the latest. We’ll see what happens. Well, that’s all for now. Unless there’s something worth posting about, I’ll try to put out a Writing/Reflections-themed post out at some point during that month. In the meantime, it’s writing, writing, writing, and hopefully a lot of it.